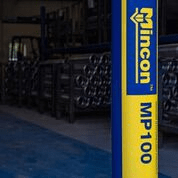 One of Mincon’s patented technologies is Spiral Flush, a casing-advancing system for geotechnical work, including piling projects. Spiral Flush allows for air control: containing and safely routing all air, rather than letting it escape into surrounding ground. This avoids disrupting sensitive ground conditions or adjacent structures. 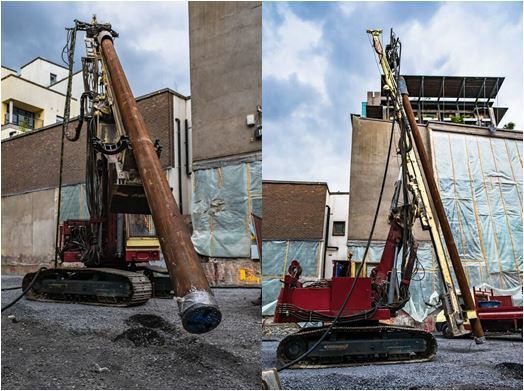 The client required a solution for drilling and installing of 72 micro-piles at its worksite in central Dublin. 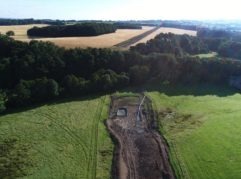 The site is located on archaeological grounds, and also has nearby foundations for adjacent business and residential buildings. 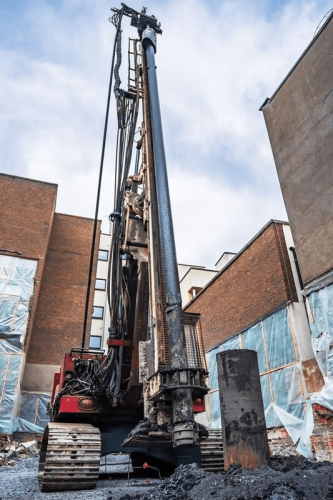 It was imperative that all drilling be completed without disturbing the sensitive ground conditions and adjacent foundations, in addition to minimizing disruption caused by noise and vibration. 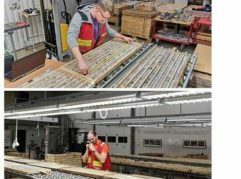 At completion, all 72 micro-piles were successfully drilled with casings installed. Spiral Flush worked as designed and no ground disturbances were recorded. 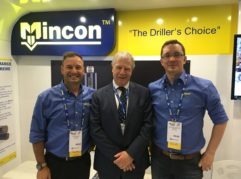 Mincon supplied the client with casing systems comprising a Mincon MP100 DTH (down-the-hole) hammer and a Mincon Spiral Flush pilot bit (12 ¾ inch/324mm). Spiral Flush is a patented technology that provides air control during drilling. 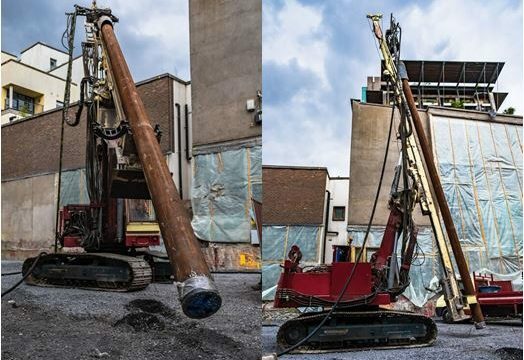 This design eliminates air escaping into the ground during the drilling process, thus mitigating disturbing sensitive ground conditions or nearby foundations. Mincon’s DTH hammer design uses a higher operating frequency, thus lowering vibrations in adjacent buildings and overall noise levels. This efficient hammer design also allowed less diesel to be consumed during drilling, thus minimizing emissions.